Props: stuffed animals of a lion and lamb. Summary: When Jesus returns to earth the world will be peaceful. Even animals that were enemies will live together. We can play peacefully now without using violent toys. Look who I brought with me today. This is Linus (the lion) and Lucy (the lamb). The Bible tells us that after Jesus returns to earth again there will be a time when everyone will be at peace again. There won’t be any wars or fighting. Even animals that never got along together before and were enemies will live together in peace. Today the wolf will hunt and eat a lamb. God says the wolf will not do that anymore during the time of peace that is coming. Leopards won’t eat goats. 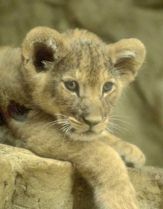 Young lion cubs won’t eat baby cows (calves) nor little lambs. The lion will eat straw instead of other animals. All the animals that were violent and harmed other animals will not hurt them anymore. Jesus will make them be able to live and play together calmly and peacefully. They will not cause danger anymore. How many of you know how to play together nicely without hurting yourself or others? (show of hands) Do the toys you play with cause you to pretend to hurt others? Let’s listen to what Linus and Lucy have to say. Linus: Hi Lucy! Things sure have been nice and calm in the playroom lately. Lucy: I’ve noticed that the boys and girls are playing without any fighting too. What’s up? Linus: That’s because the Mommies and Daddies asked their children to trade-in one of their toys so the children would play together without pretending to fight each other. Lucy: Was it just any toy the children brought? Linus: No. They were asked to give up a violent toy. Lucy: What does “violent” mean? Linus: A toy that they have to pretend to hurt someone else with. Linus: Yes. Like Laser Challenge or Nerf Pulsator. Lucy: Oh, I understand. Like toys where they pretend to fight like Small Soldiers or Duke Nukem action figures and Bashin’ Brawlers wrestlers. Linus: Yes, that’s right. Or even hand-held games like Giga Fighters or computer games like Worms 2 or Urban Assault. Lucy: But when the children traded the toy, what did they get in return? Linus: They got a Lionhearted Certificate for being brave enough to turn in a violent toy. The certificate had discount coupons that let them go to a store and get a NEW TOY, one that was not violent. Lucy: So that’s why everything is so peaceful! The children learned how to play peacefully together. Linus: And the parents learned that Violence is Not Child’s Play. Now let’s go play! Did you hear what Linus and Lucy said about some toys being violent toys? How many of you would be brave enough to trade-in a violent toy? (show of hands) Let’s remember that each time we play together we should not harm each other. If we do that, we will help make the world a more peaceful place now even before Jesus returns. Possible Handouts for Parents: Top 20 Toy List (for peaceful play) or The Dirty Dozen (12 violent toys to avoid) from The Lion & Lamb Project. Visit the web site to learn more about how to resolve conflicts and promote peaceful play among children. A Parent Action Kit is one useful resource you will find available. 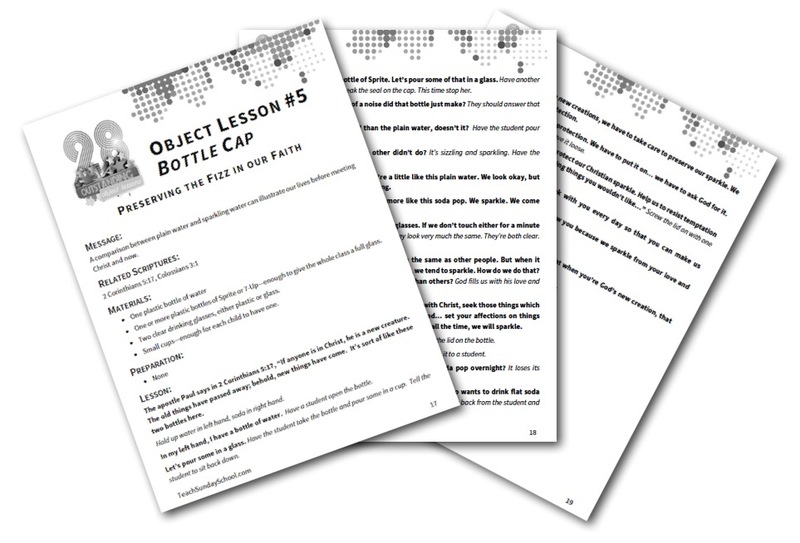 A Toys for Peace booklet is available that explains how to organize a Violent Toy Trade-In.